In places like Costa Rica, sloths often seen trying to cross the road. The problem is, they are so slow they risk the danger of getting hit by a car. 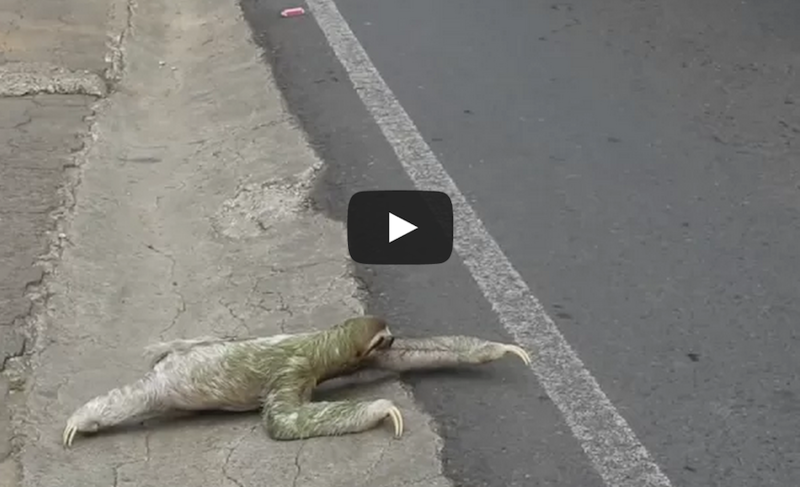 For this lucky sloth, he received some assistance crossing this busy road. A kind of man pulled over from his motorcycle ride and carried the sloth across the street. From the looks of it, if he didn’t receive that help, it would’ve taken in the entire day to cross! Check out the video below, it might be the most amazing thing you see all day!